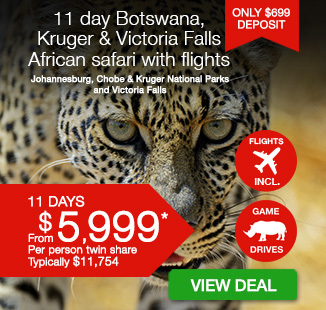 11 day Botswana, Kruger & the falls including all flights, luxury accommodation, transfers, stunning game drives, breakfast daily, guides and more. per person twin share |	Typically $11,754! You are to be congratulated for organizing a very memorable trip for us. 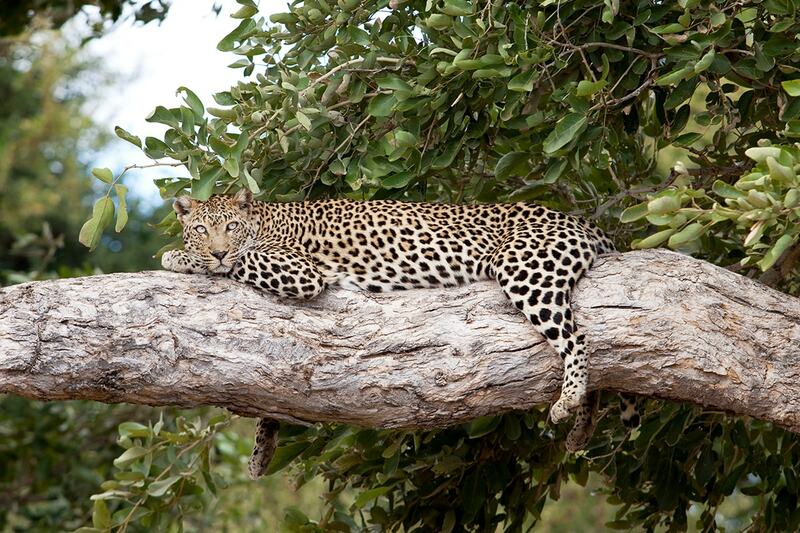 Depart Australia today to begin your private Africa safari! Today, enjoy the morning at your leisure at your stunning lodge. Later this afternoon get ready for your first African game drive (3-4 hours)! 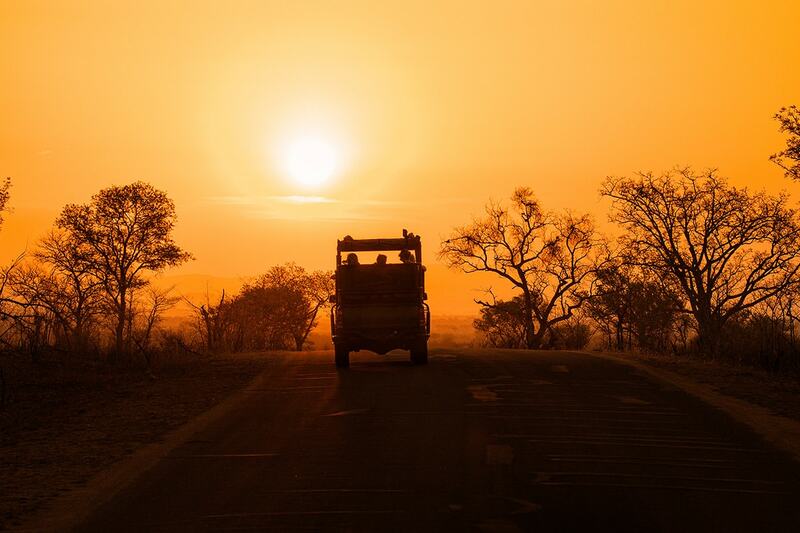 In specialist open air safari vehicles you will have a fantastic experience on your first game drive in the world famous Chobe National Park. Game drives offer you the opportunity to view the abundant elephants and big game animals in their nature habitat. Start by beginning your count for the Big 5! Later, return to the lodge and enjoy your evening swapping stories of your day’s sightings. 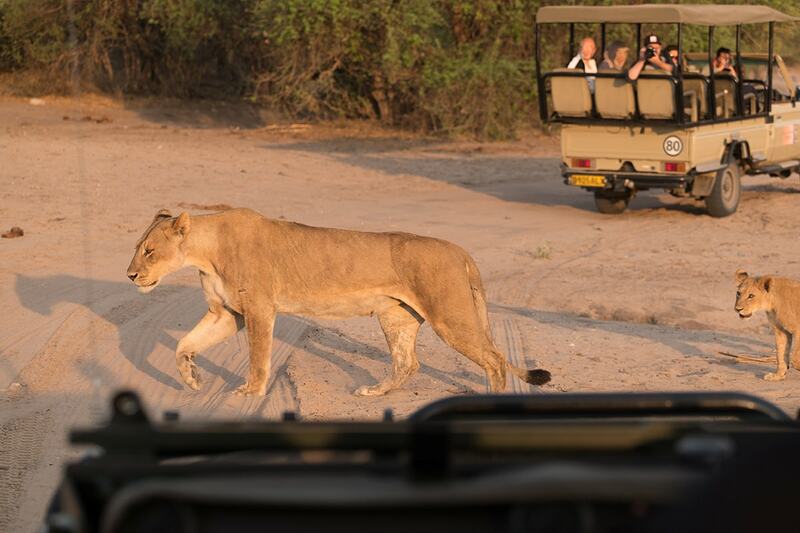 Rise early today for your morning game drive (3-4 hours) in the Chobe National Park. 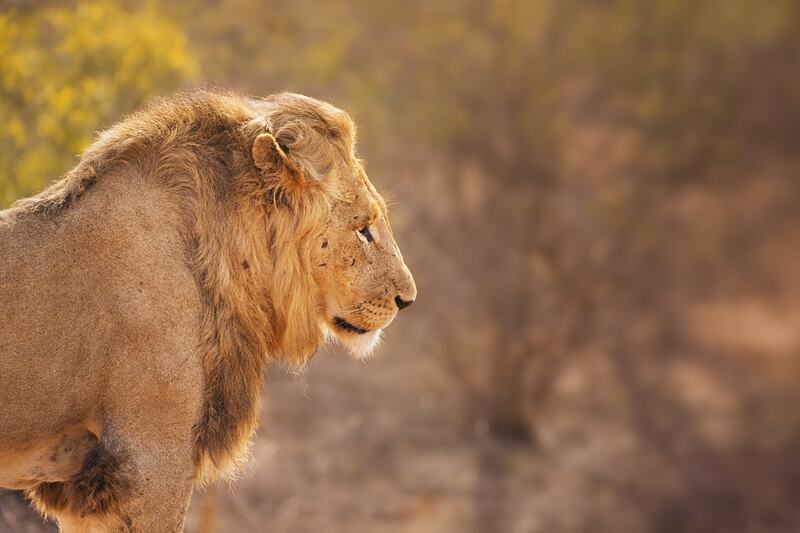 Set out on a game drive at sunrise to catch the animals at the start of their day when they are hungry and most active. 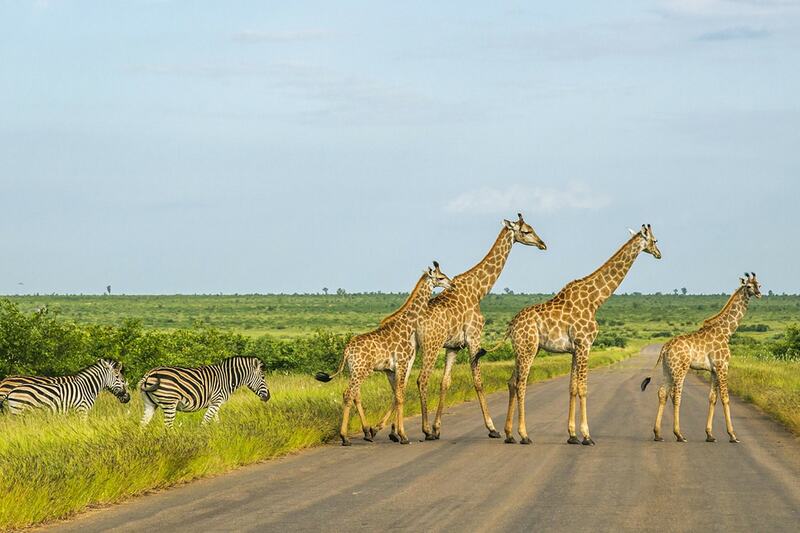 The morning game drive will give you an opportunity to see the animals you might have missed yesterday. 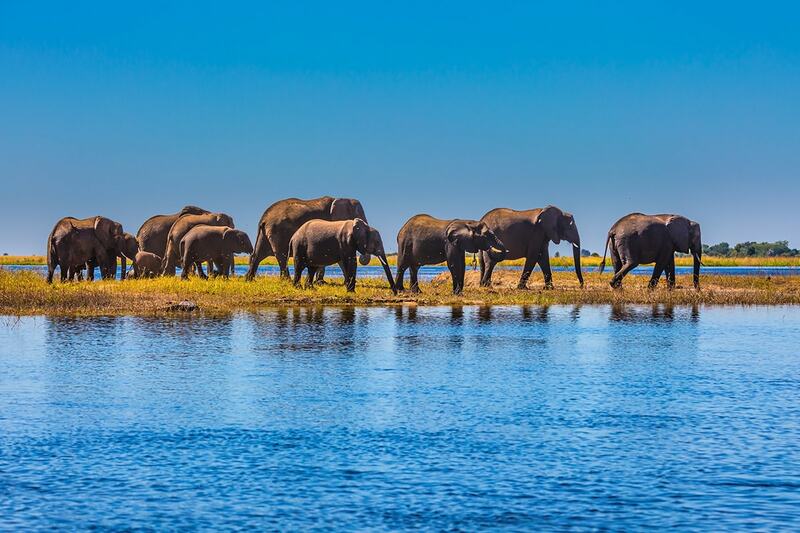 Later this afternoon, you may choose to do an afternoon river cruise on the Chobe River to view the animals on the banks of the river (on own account). Otherwise simply relax and unwind while the sun goes down over beautiful Africa. After your breakfast, you will be transferred to A Zambezi River Lodge in Victoria Falls. 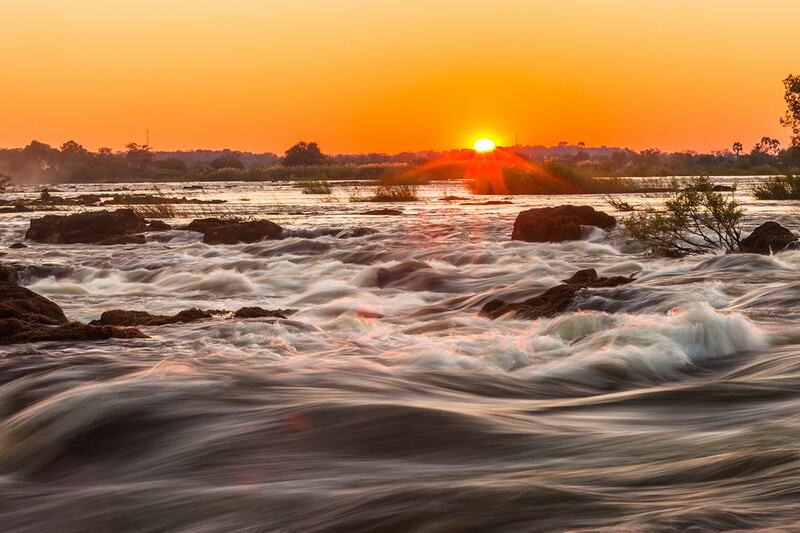 Victoria Falls presents a spectacular sight of awe-inspiring beauty and grandeur on the Zambezi River, forming the border between Zambia and Zimbabwe. It was described by the Kololo tribe living in the area in the 1800’s as ‘Mosi-oa-Tunya’ – ‘The Smoke that Thunders’. 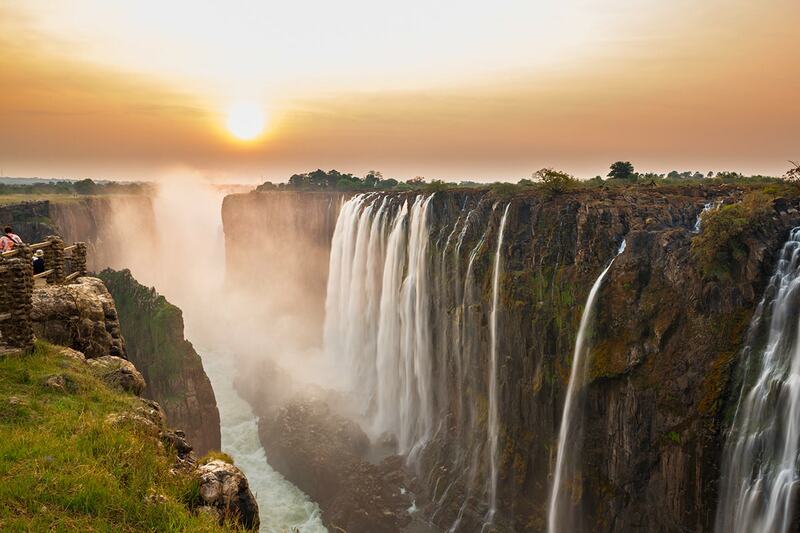 In more modern terms Victoria Falls is known as the greatest curtain of falling water in the world. After your check in at the hotel, spend the rest of your day at your leisure. After breakfast, you will be transferred to Livingstone Airport for your onward flight to start your safari adventure in the world renowned Kruger National Park. Upon arrival at Nelspruit, you will be met by a representative of your lodge and transferred to your luxury accommodation for the next three nights. 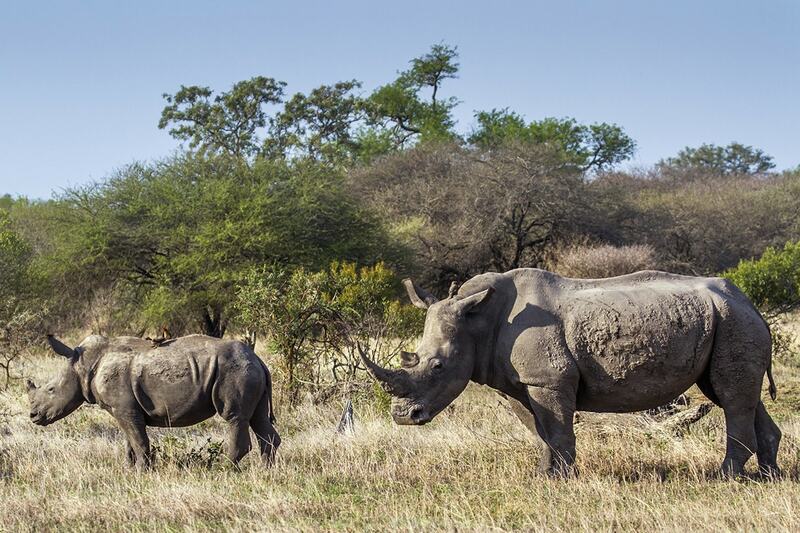 Kruger is famous for its high density of wild animals includes the Big 5: lions, leopards, rhinos, elephants and buffalos. Hundreds of other mammals also make their home here. After your breakfast, you will be transferred to the airport for your onward flight to Cape Town. On arrival at Cape Town International Airport, you will be met by our representative for your transfer to the hotel Winchester Mansions. After check in, enjoy the afternoon at leisure. After your breakfast, you will be collected at the hotel for a 45 minute tour of Afrogem, one of the leading jewellery manufacturers in South Africa. You will have the opportunity to see how smelted gold is transformed, watch craftsman set gems in the creation of elegant jewellery or purchase any quality jewellery. After the tour you will be transferred to the world renowned Table Mountain Cable Car Station for for the scenic trip up to the top of Table Mountain – one of the seven wonders of nature. On a clear day, you will be able to see Robben Island, where Nelson Mandela was imprisoned for 27 years. After your descent, make your own way to your hotel. After breakfast and check out from your hotel, you will be transferred to Cape Town International Airport for your flight back to Australia. A deposit of $699 per person plus any applicable surcharges are due at the time of purchase in order to secure your date. We offer a FREE date change policy allowing you to change your departure date any time up until your 2nd instalment payment is made. Payable direct on confirming your booking. Please select if you would like to purchase the extension on your booking form. Just a quick note to say how wonderful our trip to South Africa was. Everything was great. The lodge, the hotels and all the tours. A wonderful country and lovely people.